Need to rent a space? 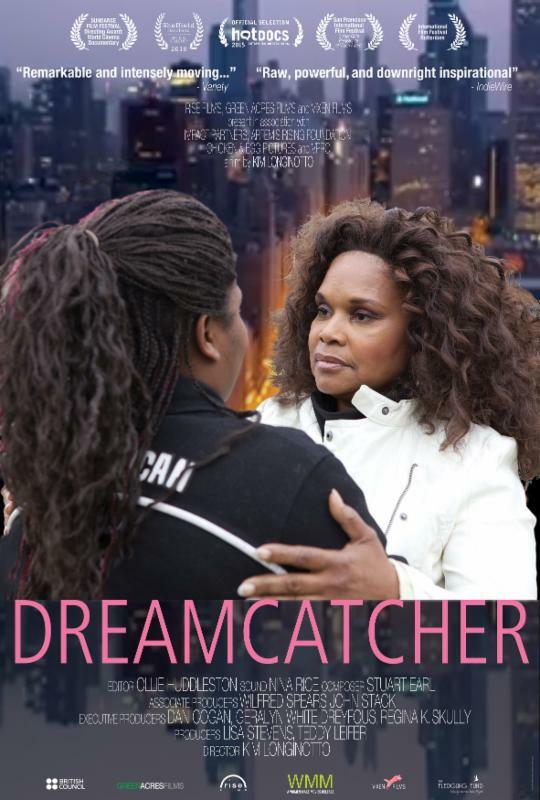 DREAMCATCHER, winner of the Sundance World Cinema Directing Award, by master documentarian Kim Longinotto, is a vibrant portrait of Brenda Myers-Powell, a former Chicago prostitute, who helps women and teenage girls break the cycle of sexual abuse and exploitation. The film lays bare the hidden violence that devastates the lives of young women, their families and communities where they live. It is Brenda's compassion and unflinching intervention that turns these desperate lives around. Called "intensely moving" by Variety, "powerful, honest, and empowering" by The Guardian, and one of Indiewire's 20 Best Documentaries of 2015, DREAMCATCHER has already received critical acclaim worldwide, having screened in more than 50 film festivals. DREAMCATCHER will be on tour this fall to nine cities in partnership with The British Council, and with generous support from The Fledgling Fund. Filmmaker Kim Longinotto, Brenda Myers-Powell from the Dreamcatcher Foundation, and producer Lisa Stevens, as well as local advocates will be on hand for post screening discussions. For more information on the tour, click here. Watch the trailer. 2016 New Release DON'T TELL ANYONE has its broadcast premiere on POV: September 21, 10pm EST! Check here for broadcast times and local listings. Since the age of 4, Angy Rivera has lived in the United States with a secret that threatens to upend her life: She is undocumented. Now 24 and facing an uncertain future, Rivera becomes an activist for undocumented youth with a popular advice blog and a YouTube channel boasting more than 27,000 views. DON'T TELL ANYONE (No Le Digas a Nadie) follows Rivera's remarkable journey from poverty in rural Colombia to the front page of The New York Times. A co-presentation with Latino Public Broadcasting. 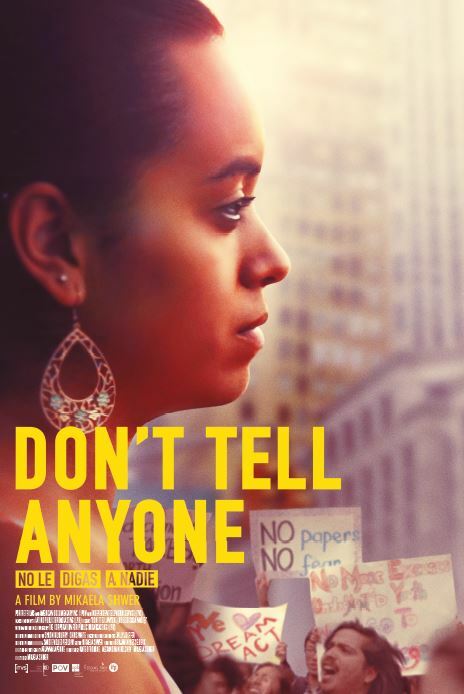 Join the conversation, use the hashtag #donttellanyonepov and follow @nodigasfilm! Congratulations to Kirsten Johnson (A BLIND EYE), Nancy Schwartzman (ROLL RED ROLL), Chanelle Pearson and Terence Nance (SO YOUNG, SO PRETTY, SO WHITE) and Lara Stolman (SWIM TEAM)! Their projects have been accepted into the 2015 Independent Film Week Spotlight on Documentary. Congratulations also to Anna Rose Holmer (THE FITS) whose project was selected for No Borders! They join previously announced IFP Documentary Lab selections DECADE OF FIRE (Gretchen Hildebran) and MEMORIES OF A PENITENT HEART (Cecilia Aldarondo). IFP Independent Film Week runs September 20-25, 2015 at Lincoln Center in New York City. Read about all of these projects here. Debra Zimmerman, along with Production Assistance Program Manager Barbara Ghammashi and Director of Acquisitions Kristen Fitzpatrick, will be participating in No Borders and Spotlight on Documentary at IFP Film Week, as well as conducting filmmaker and industry meetings throughout the week. For more information, visit the IFP website. WMM is excited to announce our collaboration with Ms. Magazine in the new Ms. Digital Reader - an innovative digital textbook perfect for all levels of women's and gender studies students. We are happy to have this opportunity to collaborate with longtime friends Ms. Magazine on this new idea, making three of our films even more accessible to feminist classrooms, seamlessly integrated into women's studies curriculum. The new Ms. Digital Reader: Gender, Race and Class is the first of its kind: a rich, accessible compilation of classic and current articles from the pages of Ms. magazine, 1972 - today. The collection of over 150+ articles are written by some of the most pathbreaking, important and widely read feminist writers, all of whom have been featured in Ms. magazine over the past four decades, including: bell hooks, Gloria Steinem, Barbara Smith, Alice Walker, Sandra Cisneros, Anita Hill, Beverly Guy-Sheftall, Dolores Huerta and many more. 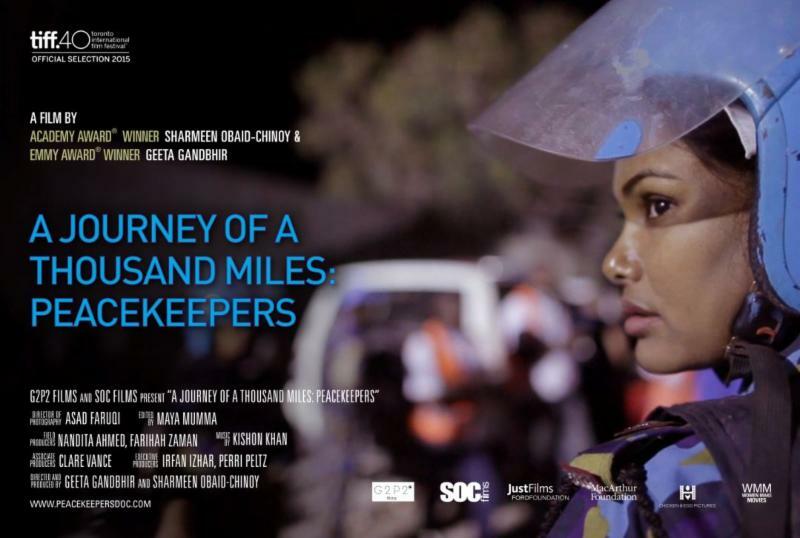 TIFF PREMIERE: "A JOURNEY OF A THOUSAND MILES: PEACEKEEPERS"
Production Assistance Program film A JOURNEY OF A THOUSAND MILES: PEACKEEPERS has its world premiere at the Toronto International Film Festival. Documentarians Sharmeen Obaid-Chinoy (the Academy Award-winning SAVING FACE) and Geeta Gandbhir follow the stories of three Bangladeshi policewomen who served with the UN peacekeeping mission to Haiti in the aftermath of the devastating 2010 earthquake. WMM Executive Director Debra Zimmerman will be in attendance at the festival. We'll be announcing more workshops in the coming weeks so stay tuned! In the meantime, click here for more information about the September workshops and to sign up. Very Semi Serious (Leah Wolchok) will premiere on HBO in December. A Brave Heart: The Lizzie Velasquez Story (Sara Bordo), which will be released theatrically and on VOD on Sept 25th, was featured in USA Today's Fall Movie Preview. Lisa Jackson's It Happened Here will be streaming on Netflix starting September 12th. PA alum Laura Poitras will be previewing her new docu-series on Julian Assange at the New York Film Festival. the bomb (Eric Schlosser and Smriti Keshari), a film/music/art installation on nuclear weapons, received a grant from the MacArthur Foundation. Mr. SOUL! Ellis Haizlip and the Birth of Black Power TV (Melissa Haizlip) received a grant from the National Endowment for the Humanities. Jessica Devaney (producer, Speed Sisters) and Danielle Beverly (director, Old South) were the recipients of the 2015 Finishing Funds grant from The ARTS Council of the Southern Finger Lakes in partnership with the New York State Council on the Arts. Following are some of the bigger deadlines coming up. For a complete list of important deadlines, please visit our website. Click here for a full list of important deadlines! Room includes: 65" LCD smart TV, PC/Mac/iPad hookups, DVD player and WiFi. Please contact info@wmm.com for more information on rates and booking.